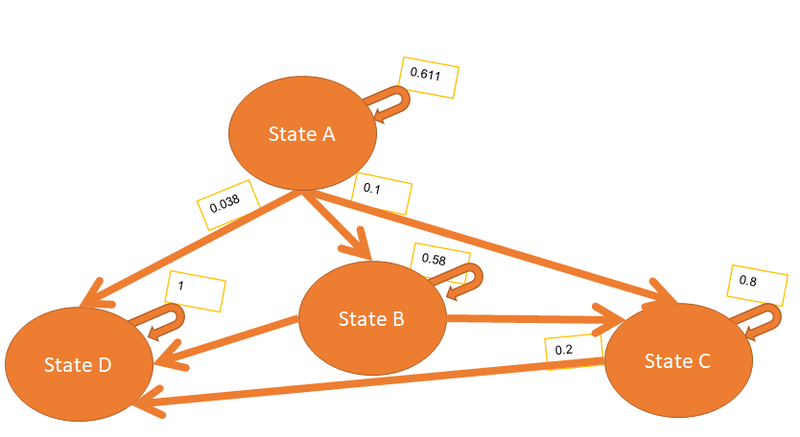 This is a good introduction video for the Markov chains, too bad it cannot be embedded. Cool! So how do we calculate the whole party? And what is the “ok” under check? 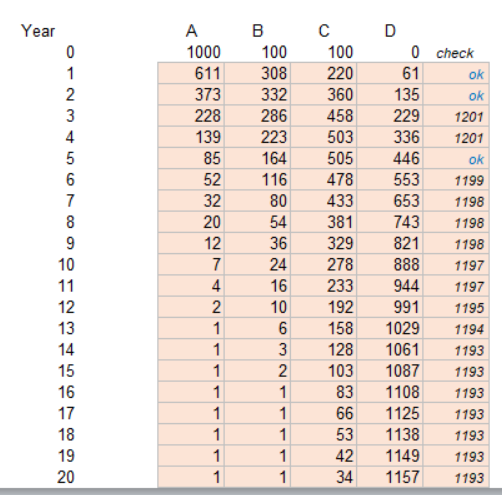 And how we make sure that from state “A” to state “A” we pass exactly 0.6111 cases, when the total is 1000? As you see, it loops 20 times, once per period, and multiplies the cases, based on the coefficients. It is important to make sure that the A2A, B2B, C2C coefficients are calculated before the calculations are carried out. I am saving them in the n2nVector. 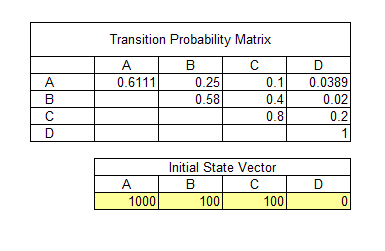 As you see, the sum is not always equal to 1200 (the initial state vector), thus it is a good idea to implement some rounding strategy there.